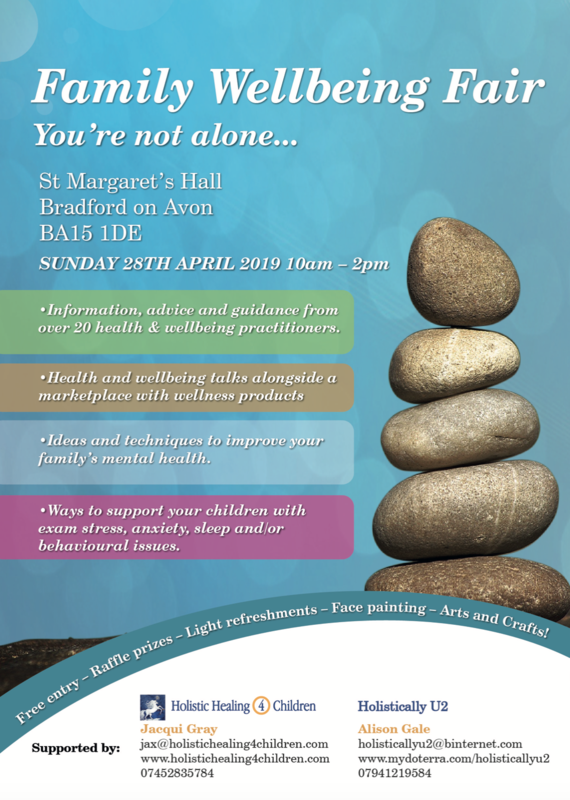 This Family Wellbeing event is to provide an opportunity for families to discover different approaches and help them understand what might assist their specific areas of concern. Parents and children will have a chance to meet health and wellbeing practitioners and professionals who specialise in working with families. The focus will be on the family but in particular the school-aged child to help give strategies, advice and support to cope with mental health challenges. It’s about offering supportive techniques to create a calmer environment at home, and/or to support families during exam stress. – Signpost families to different approaches, techniques and strategies that can help with emotional well-being. – Empower and enable families to find alternative solutions for emotionally challenging problem/situation. – Promote greater awareness by showing different options available that could help in finding the right support. -Help any family looking to take a proactive approach to dealing with mental health issues in the home. Expert advice on a range of wellness subjects including; healthy eating, stress management, parenting tools, mental health first aid and mindfulness techniques.